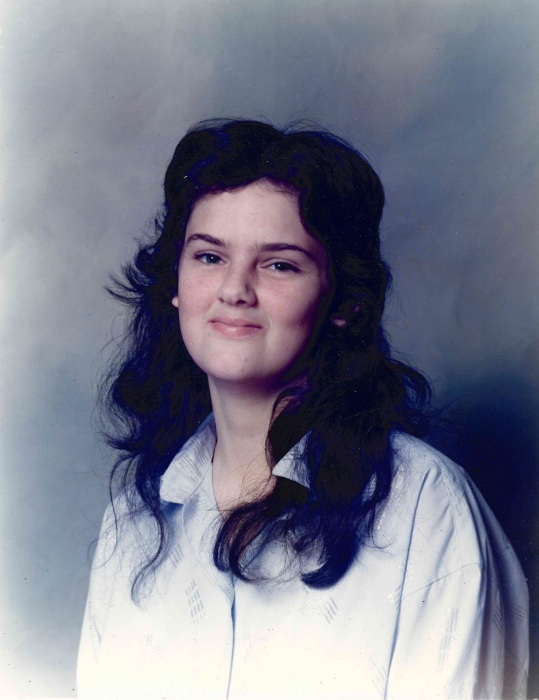 Teresa Ann Wilson Braddy, 48 of Dyersburg, Tennessee died on Friday, September 14, 2018, at West Tennessee Healthcare-Dyersburg Hospital in Dyersburg, Tennessee. Graveside services for Ms. Braddy will be 3:00 PM on Sunday, September 16, 2018 at Sorrell's Chapel Cemetery in Dyersburg, Tennessee. Officiating this service will be Rev. Jim Keeling. Visitation will be Sunday from 1:00 P.M. until 2:30 P.M. at Johnson-Williams Funeral Home. She is survived by two sons, William Braddy and Derik Braddy both of Dyersburg, Tennessee; one daughter, Nicole Rodgers of Mississippi; her mother, Mary Marie Hogue Wilson of Dyersburg, Tennessee; four brothers, Mike Wilson and Ken Wilson both of Dyersburg, Tennessee, Dan Wilson and Donald Wilson both of Springfield, Missouri; three sisters, Connie Kolwyck, Serah Gallahaire and Lisa Holland all of Dyersburg, Tennessee and six grandchildren. She was preceded in death by her father, Huston Smith Wilson. Pallbearers will be Josh Haynes, William Braddy, Derik Braddy, Anthony Truscott, Morrell Smith, Dan Wilson and Donald Wilson. Online condolences may be made to the family at johnsonwilliamsfuneralhome.com. Johnson-Williams Funeral Home is honored to serve the family of Teresa Ann Wilson Braddy.